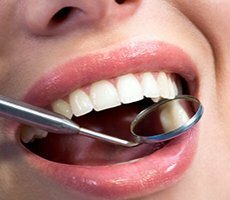 Finding the right place for you and your family to receive dental care can seem overwhelming with so many dental practices offering a wide variety of services. Moreover, finding a practice that you love makes a huge difference in how you experience dental procedures. Reviews: Any dental practice is likely to have some online reviews from previous patients. Those reviews are a great way to get a better idea of how people really experienced their dental work at that office. Take some time to look at reviews and learn more about the practice and how their patients felt about the work they received. Service offering: These days most dental practices will have a website to show you what services they perform. If you’re looking for a certain dentist or type of procedure, let this help narrow your search! Office staff: While your dental treatments may not involve the office staff directly, you’ll be working with them a lot on scheduling appointments and making payments. A great dental practice will have a friendly, accommodating office staff that can always help you! Consultations: A great practice will typically offer consultation appointments to go over any procedures you have questions about or are thinking about investing in. it’s a good way to really get a feel for the practice itself, and for the dentist. Experience: If you don’t see information online about the dentist’s experience, you can usually call the office to learn more. It’s always a relief to work with a dentist who has great training and experience! Going to the dentist isn’t something many people look forward to, but working with an awesome practice can make it much easier! Not only should you feel comfortable with the dentist, but also with the entire office and team! If you have any questions about our practice or the services offer, call us. We are always happy to help! We can’t wait to help you get the smile you’ve always wanted-contact us today if you’d like to schedule a consultation with one of our Chattanooga dentists. Older PostCan Dental X-Rays Be Harmful?